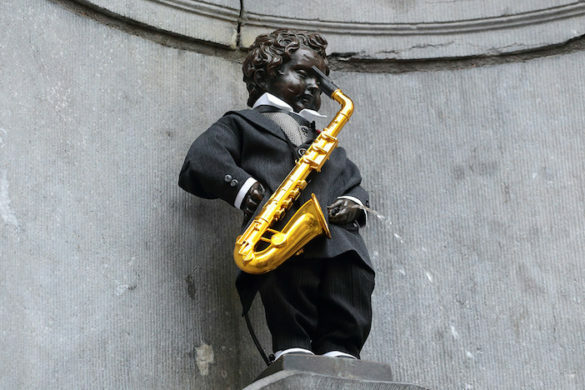 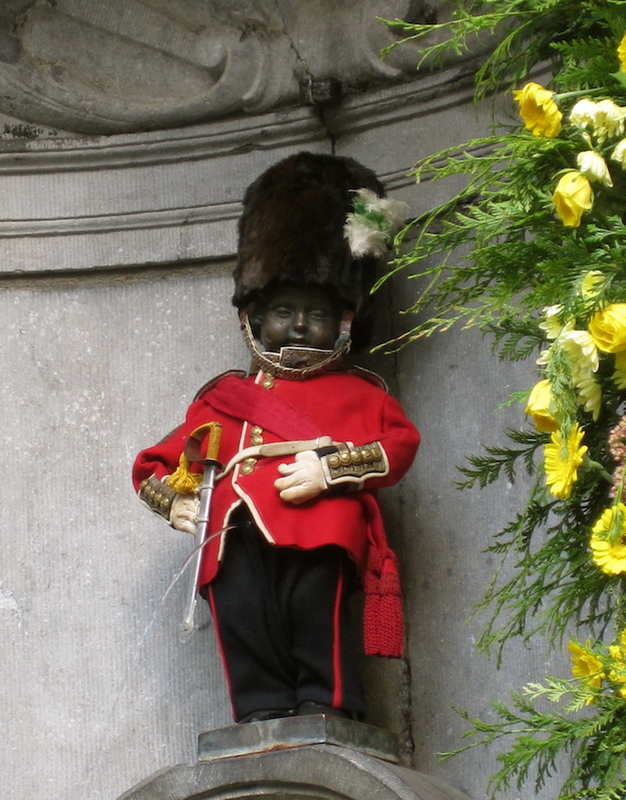 Manneken Pis (meaning “Little man Pee” in Dutch) is an iconic statue in the city of Brussels depicting a naked little boy urinating into the fountain’s basin. 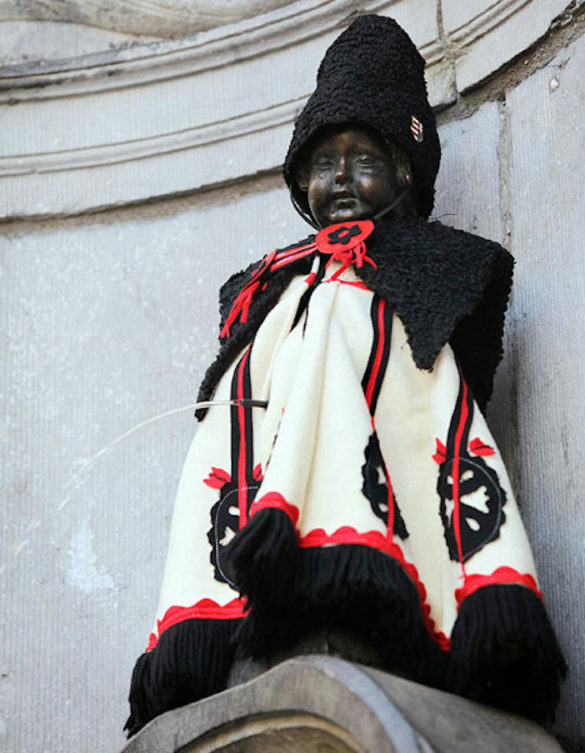 It dates from 1618 and is a major tourist site in the city— not only because of its peculiarity, but because of its many costumes. 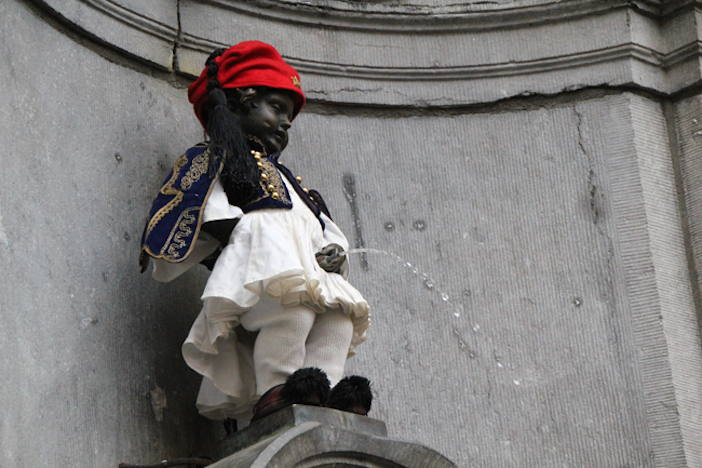 The little naked boy has hundreds of costumes which are changed several times each week. The costumes are managed by a non-profit association who review hundreds of designs submitted each year, and select a small number to be produced and used. 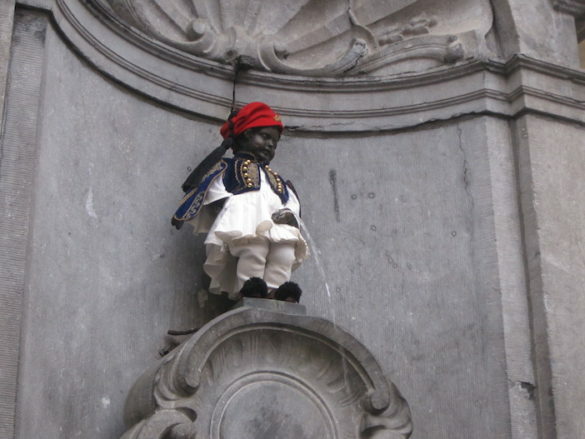 Many of the costumes reflect national traditions of Belgium’s friends and allies— including Greece. 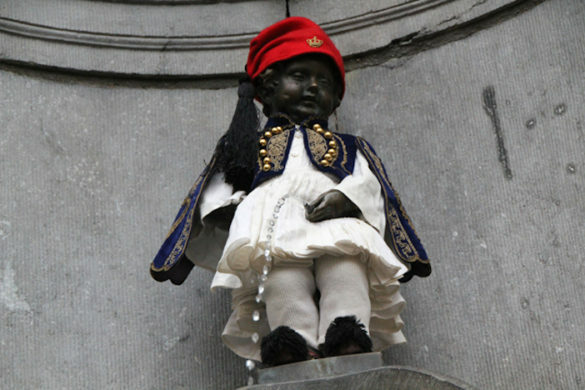 As a result, every year the peeing boy becomes an Evzone. 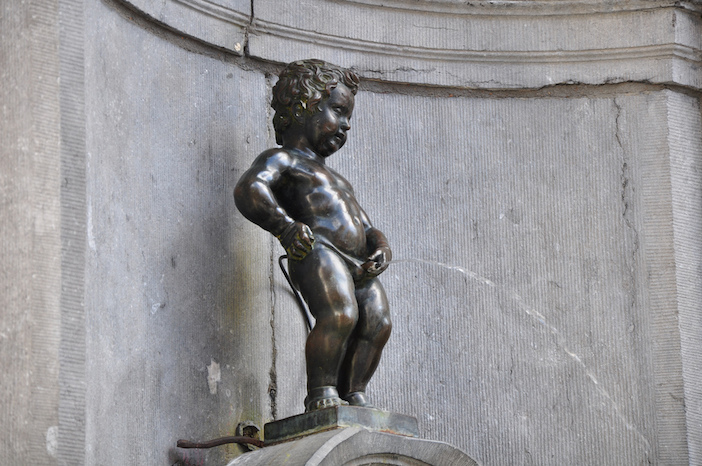 The boy— in his birthday suit. 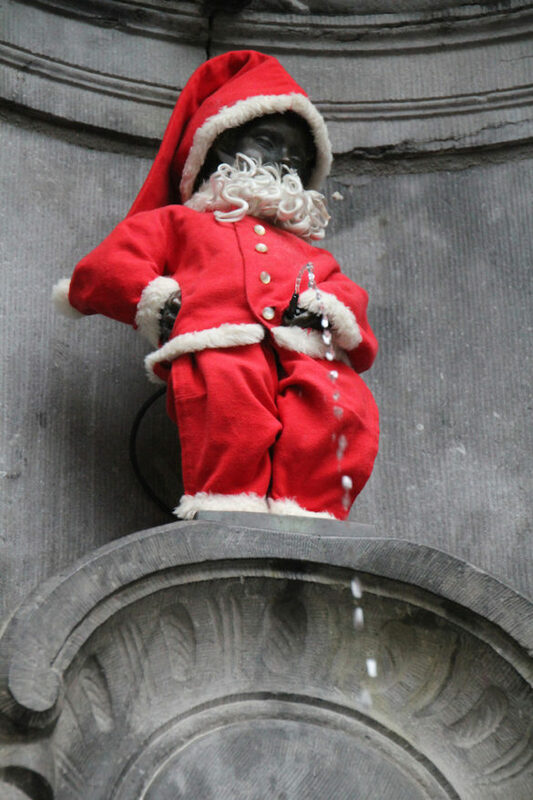 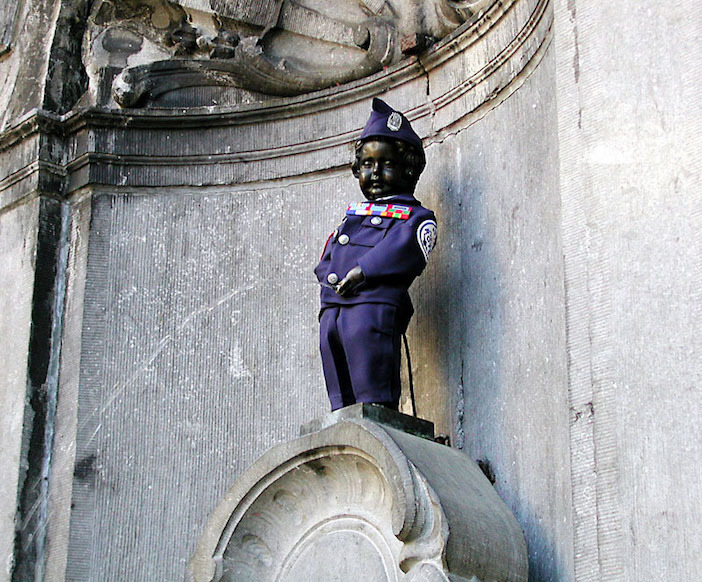 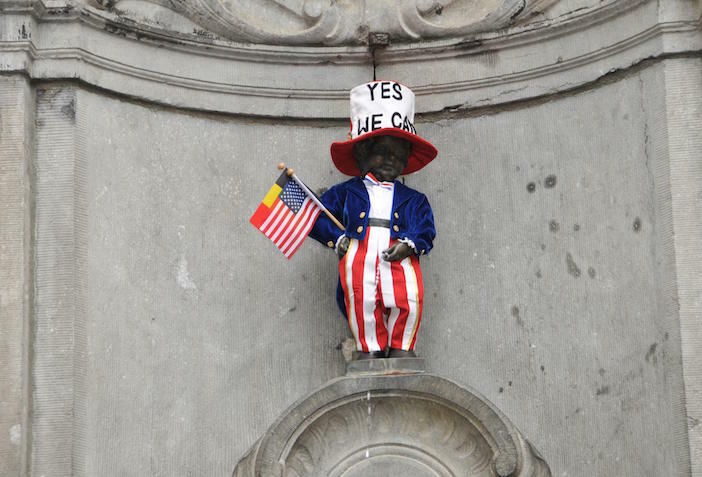 To celebrate America's Fourth of July, Mannekin Pis appears as Uncle Sam. 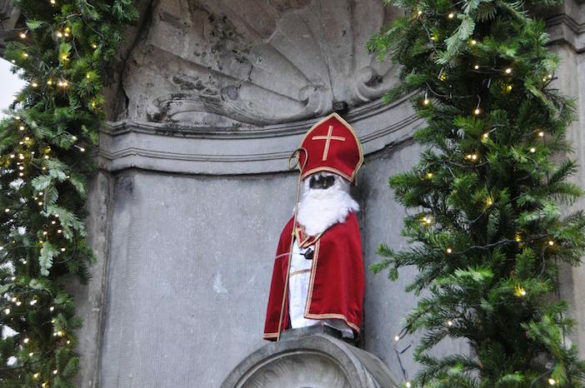 As St. Nicholas for the traditionalists.